Below are listed our most popular barcode scanners that are suitable for retail use with our EPoS systems and barcode scanning tills. These include handheld, counter top and wireless barcode scanners. We can also supply other types of barcode scanning equipment. Laser barcode scanner with stand. USB or RS232 Serial interface. 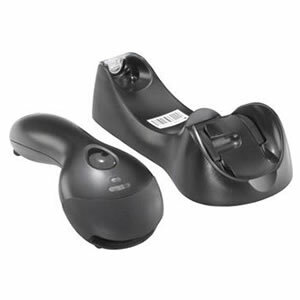 The Honeywell Voyager is a universally popular wired barcode scanner for light-medium use in retail environments. It supports all the common barcode symbologies. 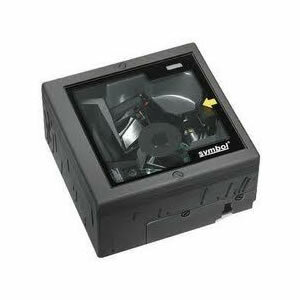 It can be used handsfree or can be lifted out of its stand for more accurate operation. 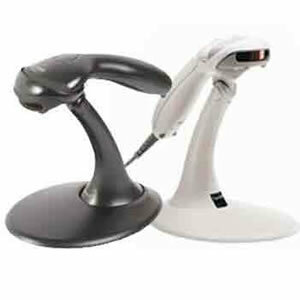 Omni-directional Laser barcode scanner with stand. USB or RS232 serial interface. Ideal for heavy duty use at busy supermarket checkouts. Laser barcode scanner with stand. USB interface cable for cradle. Suitable for handsfree wireless use in DIY stores, garden centres and other stores where heavy items are located on a trolley or at a distance from the till/counter. Laser barcode scanner with stand. USB interface cable. A quality low cost barcode scanner for light use. 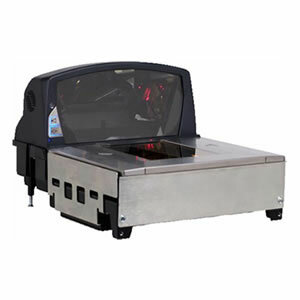 Premium 5-sided scanner and weighing scale for busy supermarket checkouts. USB or RS232 Serial interface. Integrated weighing scale option available. Horizontal in-counter scanner for busy supermarket checkouts. USB interface. 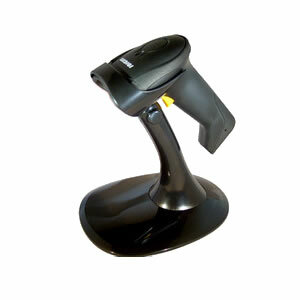 Barcode scanners for EPoS use can either be hand-held units that can be used by hand and with desktop stand, or they can be fixed-mount units that can be integrated into a counter. Laser scanners such as the Orbit with wider read heads will scan more items faster and accurately. CCD scanners will require careful close alignment with the barcode and may sometimes require several scan attempts. If the EPoS software supports it, you may also wish to consider using a mobile PDA with barcode scanner for stock taking, such as the Honeywell Optimus S and the Aceeca Meazura. Also see our Barcode Label Printers and Retail EPoS Scanning Systems.